ADA is our unique approach to system control, design, installation, and commissioning. Instead of using a traditional central control panel, ADA uses a patented modular design that distributes the I/O and motor control where they’re needed throughout the facility. ADA offers the shortest lead times in the industry because it is pre-engineered and largely pre-built. The localized, modular design means that issues are easier to detect, and maintenance is safer, simpler, and faster. Choosing ADA will reduce your total cost of ownership by as much as 40% with less design time, faster installation, and reduced downtime. And once your system is running, ADA is easier to maintain and expand than any other solution on the market. ADA reduces overall cost of ownership. Installation time and materials reduced by up to 40%. Localized design eliminates long runs of wire and conduit. Phased installation means there is no need for temporary controls. Greatly reduced design and engineering effort. Simplified maintenance means less downtime. ADA’S design make maintenance simpler and safer. Connections and communications are all localized. Troubleshooting and maintenance are simpler and faster as the panels are nearby. High and low voltage components are separately housed for safer troubleshooting. The I/O panel is finger-safe and can be opened without arc flash protection equipment even when the system is running. ADA grows with you, making expansion seamless. 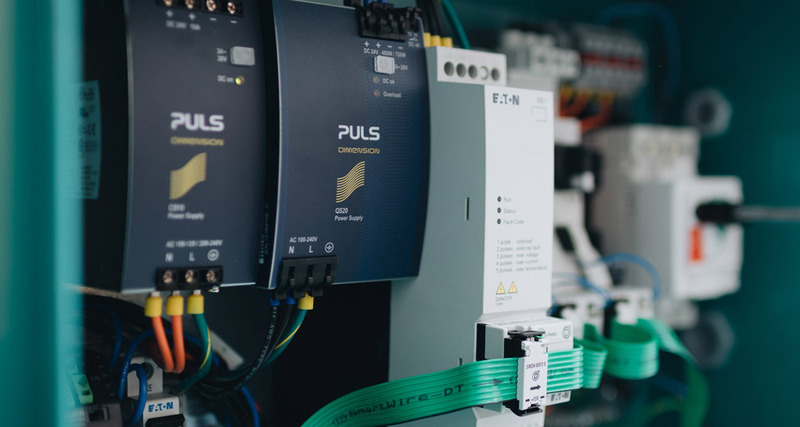 If you are already one of our many ADA customers, we can deliver more ADA units when your plant’s automation needs change. The overall system can keep running while certain sections are modified or expanded. Expansion is easy and only requires plugging in another panel. Additional I/O can be installed by technicians, with M12 plug-and-play connectors. Panels are manufactured to UL certification standards. A power distribution panel carries 480V power to groups of ADA modules. ADA projects are faster projects. The design is pre-engineered, greatly reducing design time. The hardware is pre-built, allowing for faster lead time. Installation and commissioning can start earlier, while other areas of mechanical installation are still ongoing.